The fact that James Gunn’s berserk, winningly imaginative, and just all-out entertaining monster movie Slither was a box office failure back in 2006 seemed unbelievable at the time. And that tepid reception only became more confounding when Gunn utilized a similar tone and even some of the same cast members — most notably Michael Rooker — on the massively successful Guardians of the Galaxy movies. Over the past decade, however, Slither has achieved the status of a cult classic and on July 18 will finally be released on Blu-ray by Scream Factory. Wednesday, that company announced the list of bonus content on this Collector’s Edition, which includes new commentary with Gunn, Rooker, and Nathan Fillion along with a new interview with the director about the genesis of the projects and a new interview with actor Gregg Henry titled “The Other MacReady” (presumably a reference to the fact that Henry’s character shares a surname with Kurt Russell’s helicopter pilot in The Thing). Other features include a 2006 commentary with Gunn and Fillion, a set tour with Fillion, and a gag reel. Slither stars Rooker as a small town resident who becomes infected by an evil alien, Elizabeth Banks as his justifiably alarmed wife, and Fillion as a cop attempting to stop this extraterrestrial menace from taking over the world. The Slither Blu-ray is now available to pre-order. Nathan joins the lineup for ID10T Music Festival + Comic Conival! 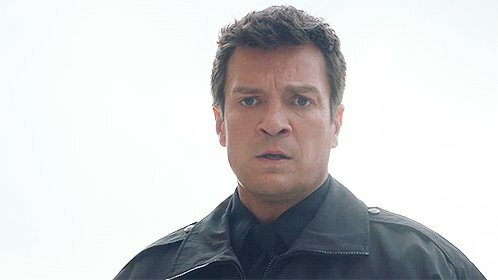 Nathan headed to Armageddon Expo 2017!